Move over, Magic Milo (Drew Cheetwood, General Hospital). Antonio Sabato, Jr. (ex-Jagger Cates, General Hospital) is about to take the stage as celebrity guest host of the Las Vegas Chippendales revue at the Rio All-Suite Hotel and Casino. Antonio will be performing for a limited time – from May 5- June 5. Sabato, Jr. has never shied away from exposing his chiseled body or drawing attention to his flawless features (those dimples!). This, despite the fact that doing so often causes people to overlook his other talents. He played Jagger Cates on General Hospital (GH) with more realness and aplomb than he generally got credit for. Jagger made up one part of the clique of young characters that also included Jason, Brenda, AJ, Robin, and Karen and had viewers entranced. And later his turn as the frightening domestic-abuser/mob leader Jack Parezi on Melrose Place allowed him to showcase a wholly different side of his acting abilities, and he did so equally well. Parezi met a fate as violent as his nature when he plunged over a railing in his Miami mansion. Before his start in acting he did an unforgettable shoot for Calvin Klein underwear—the unforgettable part being the 90-foot billboard in Times Square of Sabato in nothing but a pair of white briefs. So…moving, shall we say, was this billboard it actually drew in tourists. How many people can say their looks helped a local economy? Sabato, whose father is an Italian actor, was born in Sicily and raised in the United States. He is of mixed ethnicity. He has two children, one daughter with actress Virginia Madsen, and a son with wife Cherly Moana Marie. Fans who watched GH during one of its high points, in which Sabato played an important role, often lament his departure from the show. But remember, this is Hollywood, and more importantly, the soap world—anything is possible! Akbi Khan has been a soap mega-fan for 30 years and been writing about them for three. She watches all four daytime dramas on the air and works in other soap-related venues to restore the ABC lineup and remind the world that soaps are still relevant and important. She got her BA in English and journalism and MA in rhetoric in composition. For the latter she researched and created her own Save Our Soaps group. She enjoys going dancing, laughing heartily and often, and social activism, and anything related to words and language. 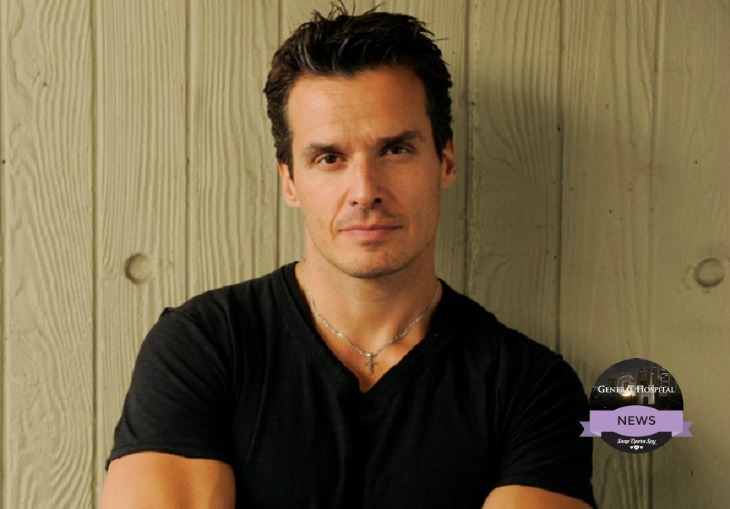 Get Exclusive Antonio Sabato Jr News & Updates! ‘The Young and the Restless’ News: Yvette Nicole Brown Guest Starring On ‘YR’ – Watch Preview Here!